Last year was the first year that the kids and I participated in Truth in the Tinsel by Amanda White and we LOVED it. This ebook is designed for Advent and helps parents to navigate the true story of Christmas with their young children in an age appropriate way. There are suggested bible readings, a hands-on component for the kids and even talking points for rich discussions. It is so well done and I have to say that my kids (and I) learned so much from going through the process last year. I bought the companion ornaments to go with my ebook because I knew that I wasn’t going to be able to fit in crafting 24 ornaments. Besides we didn’t have an extra empty tree to hang all of these ornaments 😉 Instead I made a book of the printed ornaments (one for each kid) and they would color them at dinner while we read and discussed the selected passage from the bible. Now please understand that we are not usually Bible readers in this house but having this special time each night through December was so nice. The passages that Amanda has picked out and the discussion topics she has suggested are perfect for young children. If you are Christian and have young kids, I highly suggest checking out Truth in the Tinsel. It is such a great way to drown out the commercialism of the season for a few minutes each day and focus on the true meaning of Christmas. Sparkle Stories is trying something new this year and we can’t wait!!! 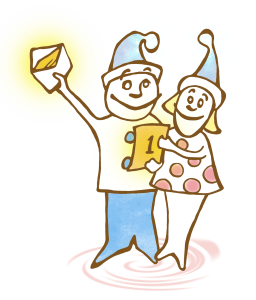 You can purchase the Martin and Sylvia Advent Calendar and have stories delivered to your computer for each day of Advent. That is 25 Stories!! They say it is over 5 hours of content and they also have a paper calendar that you can print out to follow along with. We LOVE Martin and Sylvia and are so excited about this continuous story. Once you buy the calendar once it is yours to keep. You can listen to the stories on your computer, ipod, ipad, phone….anywhere you can plan an MP3. So those are two ways we are celebrating Advent this year, what are you up to?? The opinions on this post are all my own. I am not being compensated by anyone for sharing them here!